Coprosma kirkii variegata is a low spreading shrub. 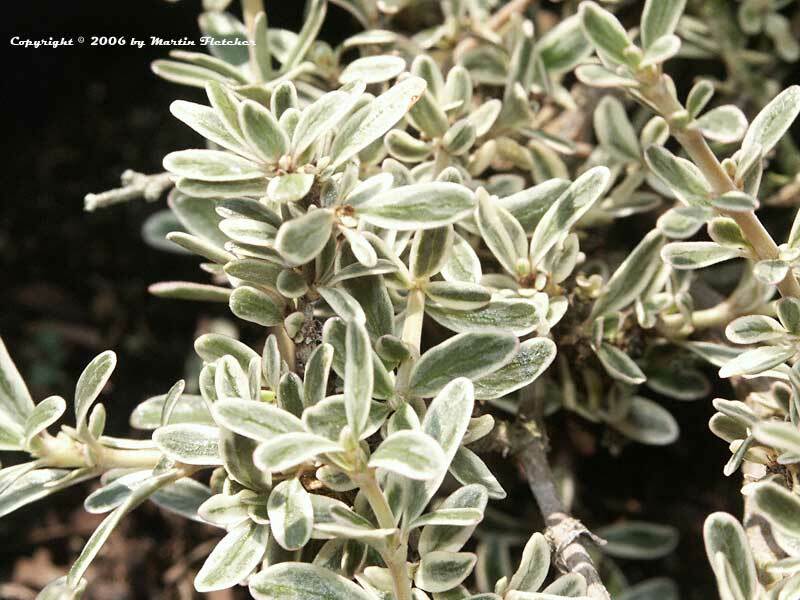 This groundcover will grow 1 to 2 feet tall and 6 feet or more wide. Coprosma kirkii is easily shaped and can even be trimmed as a bonsai. Coprosma kirkii prefers regular water but while not smiling will subsist on quite a bit less. Coprosma kirkii is grown for the foliage. The flowers are small and white and Coprosma kirkii variegata blooms Spring into Summer. Plant in full sun to light shade, more shade the further inland the garden. Coprosma kirkii variegata is hardy into the teens. Flowers and foliage of Coprosma kirkii variegata the Dwarf Mirror Plant. High resolution photos are part of our garden image collection.